Earn $0.94 in Rewards credit (94 points) What's This? 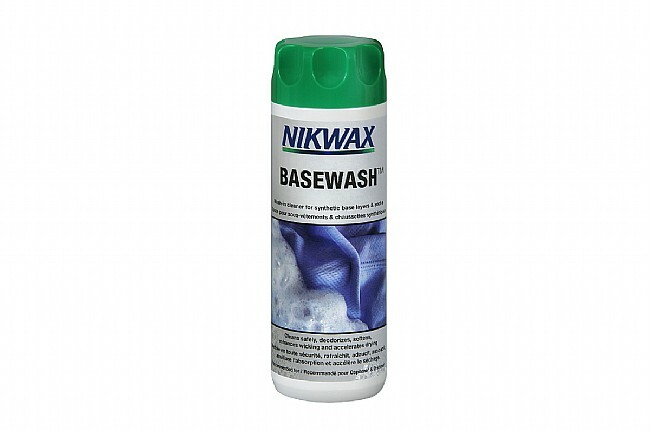 Nikwax’s BaseWash® is a biodegradable and environmentally friendly cleaner and conditioner for synthetic technical underwear and moisture wicking clothing that’s designed to be worn next to the skin. BaseWash® effectively cleans and deodorizes by inhibiting the growth of bacteria causing odor. Using BaseWash® also accelerates drying and improves the cooling efficiency of synthetic base layers.